Search engine optimization is a tricky thing. There’s a lot to keep in mind, and a bunch of screws to turn for adjustments. That’s the reason why there are so many services and tools that claim to help you prepare your website for Google and co. One of them is DELUCKS SEO, which is available as a plugin for WordPress, uniting tons of tools that make optimizing your articles and pages easier. Right after installation, you’ll notice that the view of pages and posts in the WordPress backend has changed. There’s a new area dedicated to metadata optimization where you previously simply entered the heading. Here, you set important keywords for the page’s content. As the DELUCKS SEO plugin accesses Google’s auto completion list, it even makes suggestions when entering keywords. The first and most important keyword is highlighted in blue. Below the keywords, you get to enter your page or post titles as usual. Even below that, you’ll see how the title and the permalink will look like on Google. There’s something particular about the generation of the permalink. Unnecessary words, like auxiliary verbs, and prepositions are ignored. This way, the plugin makes sure that the permalink only contains relevant keywords, which can have a positive effect on the findability. Last but not least, enter a description of your content. 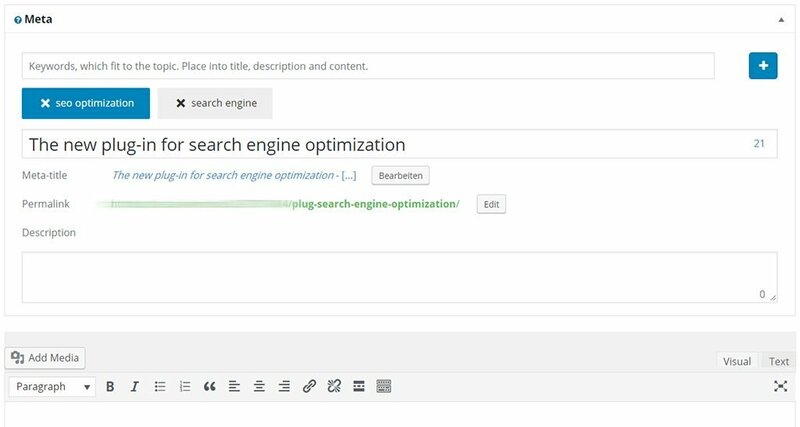 Below the text editor area, there’s another new segment that allows you to define so-called SEO attributes. There, you can choose if search engines should be allowed to index your page or your post, as well as follow the included links. The plugin makes sure that the respective HTML markups are done in the document. This information can also help you with search engine optimization, by leaving out less relevant pages. Mandatory pages, such as your data protection rules, don’t have to be listed in the Google search results if that means that they push your blog posts to the back. The previously presented measures are quickly realized. The much more tedious, but also more important part is optimizing your texts. Here, it is crucial to make sure that the selected keywords appear in the actual content of your page, or your post. For the best Google ranking possible, you also need to make sure that the keywords have a balanced relation to the rest of the entire text. DELUCKS SEO can help with that, providing a so called WDF IDF analysis. WDF is short for “within document frequency,” and indicates the relation of a keyword to the rest of the text. IDF means “inverse document frequency,” and tells you how often a keyword occurs in all documents of your website. Both values are important for search engine optimization to achieve the best possible results. Thanks to the text optimization of DELUCKS SEO, you don’t have to manually decide how often your keywords should appear. The plugin also suggests other keywords to consider, based on a competition analysis. The text optimization works in multiple languages, by the way. Aside from the content optimization, the plugin also checks your pages’ semantics. For instance, it checks if your headings are labeled as headings. That’s because they are more significant for the search than regular text. Search engines don’t care if a text is large or bold. Decisive is, if the correct elements, such as “<h1>”, “<h2>” etc., are being used. The optimization options presented so far are used directly while writing pages or posts. The menu item “SEO,” in the WordPress backend, contains the dashboard, as well as additional services for you to activate. Under the item “Free,” you’ll also find additional services that you can simply add. DELUCKS SEO also comes in a premium version with paid additional services. The option to generate an XXL sitemap from your sites is one of the free services. This can be signaled to Google via their Search Console. The sitemap makes sure that Google will learn about changes to your website faster than usual. In the end, search engine optimization is detail work. For example, DELUCKS SEO lets you define what you want to happen when the page titles are too long. You might want to leave out the company, or blog names as soon as the title gets too long. You can also define if paginations should be indexed and if the links should be followed. The same goes for profile pages, where you introduce yourself, or your blog, to your readers. There are many more settings for an optimal search result. While metadata optimization and SEO attributes are contained in the free basic version, the text optimization, including the semantical optimization, is only included in the premium version. It is available for two domains for only 60 dollars. That’s a pretty low price for an SEO tool with these services. In the premium version, other services are unlocked as well. This includes things like a “Breadcrumbs” navigation, as well as social sharing functions. Not only are the respective buttons provided, but DELUCKS SEO also makes sure that images and headings are presented in the most optimal way when sharing them on Facebook, Twitter, Google, and other networks. The buttons can be customized, and follow the data protection law. A rating system, allowing the visitor to give one to five stars to a page or an article is included in the premium version as well. These stars are displayed in the search results, making for a special highlighting. So-called micro data also creates a particular emphasis. 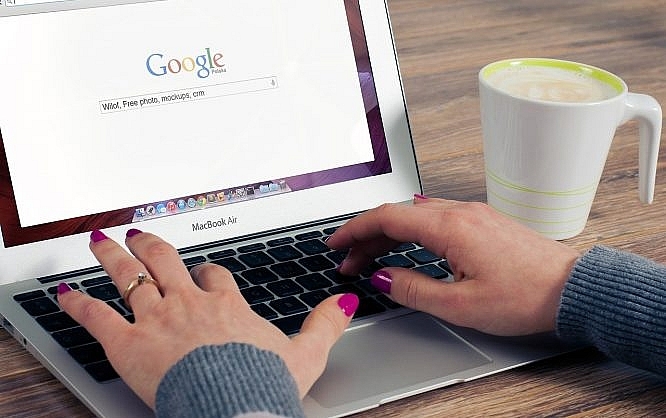 Thanks to that, certain content, such as contact information, events, or videos are highlighted, separating them from the usual search results. DELUCKS SEO is extensive, yet easy to use and a must have plugin for your WordPress website. Even in the free version, it offers many optimization options. The full potential is only revealed by the premium version, however. Here, you adjust all relevant screws; preparing your website, and all of its content for Google and other search engines.